Authentic biblical discipleship stands in awe of the power of God’s gospel to convert thoroughly sinful men and women from thoroughly sinful thoughts, actions, motives, emotions, and desires to Spirit-generated new creations that reflect the beautiful love and holiness of Jesus Christ—the Lord we are now called to follow. God’s vision of discipleship, therefore, requires a theological understanding of the nature and effects of sin and of the work of His sovereign grace; not merely to reform sinners, but to regenerate, redeem, rescue, and thoroughly recreate them by reclaiming them for His own possession. Therefore, we must be convinced that, in order for a natural-born rebel who is against God’s divine sovereignty to come to the place of voluntarily submitting his or her will to the authority of the Lord Jesus Christ and, as a disciple, obeying His commands, a supernatural revolution must take place in the inner person. Nothing short of an extraordinary work of God via the wonder-working power of the gospel message is required—a work called conversion. Robert Duncan Culver, in Systematic Theology, writes, “When the contesting football teams change ends of the field and goalposts—a complete reversal of direction—it is called a conversion. This is strictly consonant with biblical and theological usage … The idea of a spiritual– moral reversal of direction—conversion—is endemic in the Bible from the Lord’s appeal to Cain (Gen. 4:7).” In other words, conversion is clearly evidenced throughout the Scriptures. The numerous times when, in the Bible, sinners turned from sin to God demonstrate this. For example, “in their distress [Israel] turned to the Lord God of Israel, and they sought Him, and He let them find Him” (2 Chr. 15:4), and once the prophet Jonah finally decided to submit to God’s command to preach the message of repentance, the citizens of Nineveh “turned from their wicked way” (Jonah 3:10). In Paul’s testimony of his own conversion and call, he defends Jesus’ command to bring the gospel to the Gentiles “to open their eyes so that they may turn from darkness to light and from the dominion of Satan to God” (Acts 26:18). He also thanks God for the Thessalonian believers who had “turned to God from idols to serve a living and true God” (1 Thes. 1:9). The word that Paul uses for “turned” is epistrepho, in the aorist tense, which indicates “an immediate and decisive change, consequent upon a deliberate choice; conversion is a voluntary act in response to the presentation of truth.” The apostle’s choice of this word emphasizes the active part the Thessalonians had in their conversion. 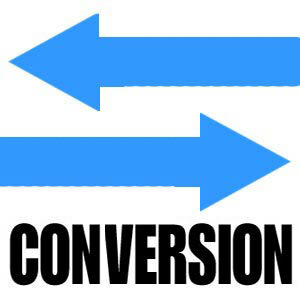 [Sinners] both convert and are converted. It seems best to think of the divine act (or work) as regeneration and the human acts of repentance and faith as conversion … Conversion is no works-righteousness, meritorious, synergism of God and man. They move together but God initiates it by regenerating the will or disposition … God can and does penetrate our spirits by His spirit without destroying any faculty of volition, rather by setting it free to make right choices. In order to be saved, we must experience conversion. The depth of our sinfulness, and the nature of the human heart to live in rebellion against God’s authority require the new birth, which the Holy Spirit accomplishes through the Word.